Recently when visiting a friend in south Florida, I caught my first Peacock Bass. These colorful creatures favor the shorlines and if your lucky to catch one you will be rewarded with a great fight. The butterfly peacock is a world renown gamefish that was successfully introduced by the Florida Fish and Wildlife Conservation Commission in 1984 to eat undesirable exotic fishes and to provide more sportfishing opportunities for anglers. 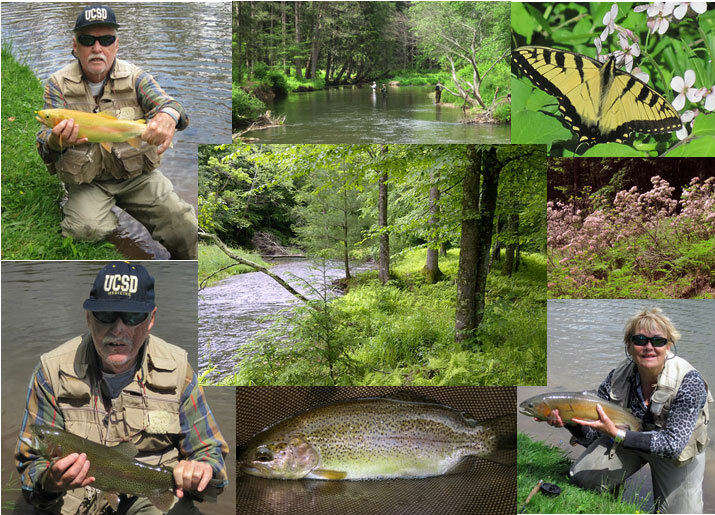 Fishing for butterfly peacock is best from March through May, but they are caught consistently throughout the year. Butterfly peacock feed only during daylight and normally close to shore, although schooling peacocks sometimes feed aggressively in open water. Most butterfly peacock are caught on live bait or fast moving artificial lures and flies that imitate small fish. 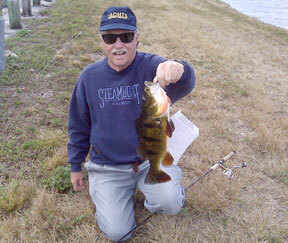 Butterfly peacock are much more likely to be caught using live fish such as small golden shiners for bait than are largemouth bass which makes them an excellent fish for younger anglers, as well as those just learning to bass fish. It is illegal to use goldfish or any other non-native fish for bait, except those legally caught from and used immediately in the same canal. Peacock Bass fishing has become one of the most exciting and challenging sports in recent years. The thrill that comes from catching a Peacock Bass that explodes on your popper or streamer using a 5 weight rod and rip's across the top of the water, jumping into the air and ripping more line it is a experienced to be believed. Yet, this occurs often for Peacock Bass in the secluded lakes, canals and lagoons of Miami. The Peacock Bass will challenge the skills and the equipment of every fisherman. From the feisty butterfly peacock bass which can weigh up to 10 pounds, every strike raises the possibility of a new world record. 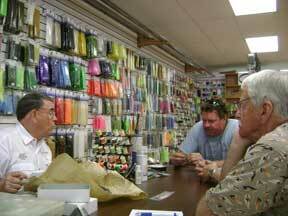 At the end of each day, both fisherman and tackle have to be repaired and rested for the next exciting day. Many fishermen plan on a one-time "trip of a lifetime" to the Amazon and later realize as they keep returning each year to Florida for another chance to experience the pristine beauty right here in the USA. The bag limit is two fish per day, with only one longer than 17 inches. Butterfly peacock over 18 inches, or 5 pounds are eligible for the Big Catch programhttp://www.floridaconservation.org/fishing/bigcatch/bigcatch.html. The FWC now has a Peacock Bass Fishing brochure http://www.floridaconservation.org/fishing/pdf/PeacockBassBrochure.pdf available in PDF format. Over Easter weekend, we went fishing in Fort Lauderdale along 70 north toward Naples just past 27. The Oscars and Mayan Cichlids where hitting by the hundreds. Great fight - super fishing! The Mayan cichlid was originally described as Heros urophthalmus in 1862 by Dr. Albert Günther of the British Museum of Natural History. In 1867, Franz Steindachner of Austria described Heros troschelii based on specimens of Mayan cichlids from Mexico, creating a junior synonym. At present, the taxonomy of the Mayan cichlid exists in something of a state of flux, as the evolutionary relationships of many cichlids remain poorly understood. Recently proposed combinations for the Mayan cichlid include but are not limited to, Herichthys urophthalmus, Parapetenia urophthalma, and Astrontous urophthalmus. Nandopsis urophthalma, is currently accepted as valid by some authors. As many as nine subspecies of the Mayan cichlid have been recognized. The genus of the currently accepted name, Cichlasoma is derived from the Greek words "kichle" = wrasse and "soma" = body. The Mayan cichlid is native to the Central American Atlantic slope waters of southeastern Mexico (including the Yucatán Peninsula), Belize, Guatemala, Honduras, and Nicaragua. Dr. Günther's type specimen is from Lake Petén, Guatemala. Non-indigenous populations of Mayan cichlids, first reported in 1983, are established in portions of Florida Bay and the Everglades in southern Florida, USA. The oscar was formally described in 1831 as Lobotes ocellatus by the famous 19th century zoologist and founder of Harvard University’s Museum of Comparative Zoology, Jean Louis Rodolphe Agassiz. The genus Lobotes however, is entirely marine, and fishes of this genus, known as tripletails (Lobotidae) are of no meaningful relation to cichlids. It is surmised that Agassiz chose Lobotes in describing the oscar based on the fact that he believed his specimen or specimens to have been collected in the Atlantic Ocean. Considering the similarity in appearance of the oscar to the marine tripletails and the erroneous locality information, the original placement of the oscar in Lobotes is not surprising. Current taxonomic placement of the oscar is in the South American cichlid genus Astronotus. Astronotus is derived from the Greek words "astra" = ray and "noton" = back. 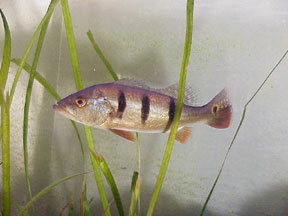 Ocellatus is Latin for spotted, referring to the spotted pattern on the body of this fish. Synonyms include Acara compressus Cope 1872 and Hyposticta acara Cope 1878. Astronotus has long been considered a monotypic genus, but recent studies indicate that a number of other species of "oscar" abound in South America. Astronotus ocellatus as originally described appears to be restricted to Peru and Brazil. Geographical Distribution Although the type locality for Agassiz’ specimen was published as "Atlantic Ocean" the oscar is a strictly freshwater species restricted to the Rio Ucayali drainage and upper Amazon river of Peru and Brazil. The error committed by Agassiz is easily attributable to the fact that many early species descriptions were based on specimens shipped to zoologists from far-flung locales and often these specimens were accompanied by little in the way of specific locality data. Indeed, there are many instances of early species descriptions with locality errors similar to the case of the oscar. A non-native population of oscars is well established in South Florida, USA.